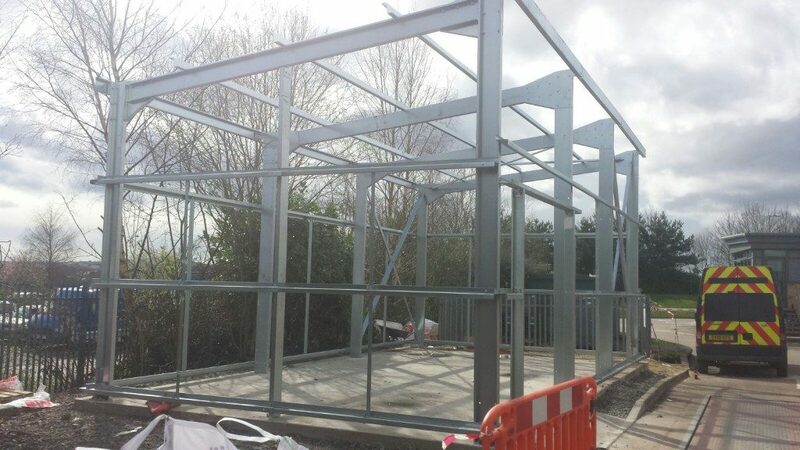 We worked with a local Construction contractor, to install and Steel Building on a new slab. The site is very busy and consideration needed to be made for continual traffic movement. 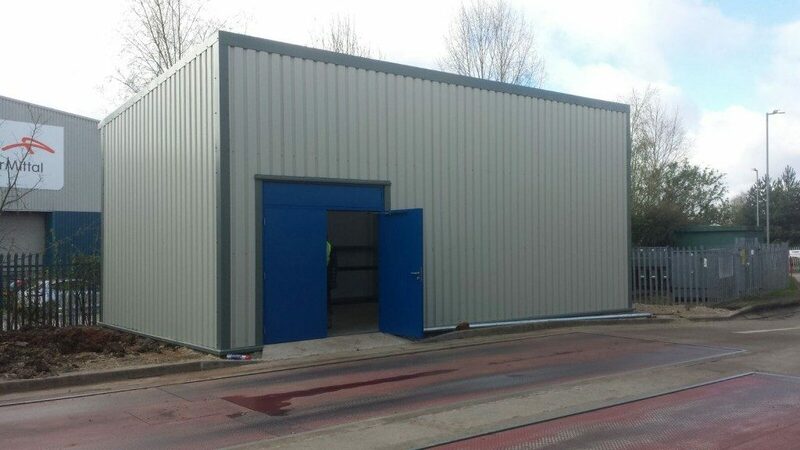 Therefore the client needed the building completing quickly to avoid operational delays. 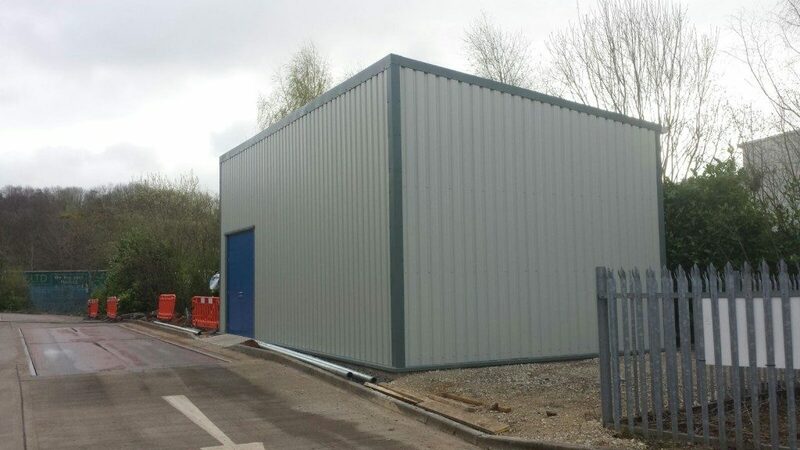 We completed the building in 5 working days, while working with the end client to continue normal service. Double PA Steel Security door, 50/50 split. 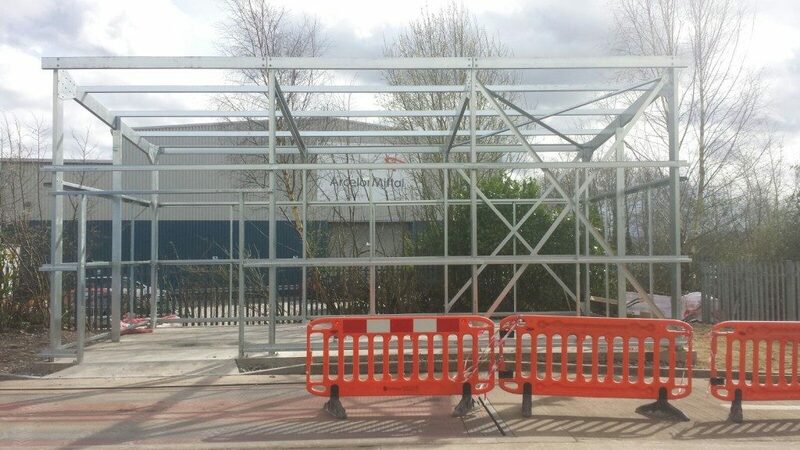 Clear opening of 2000mm wide x 2400mm high – With over panel removed. 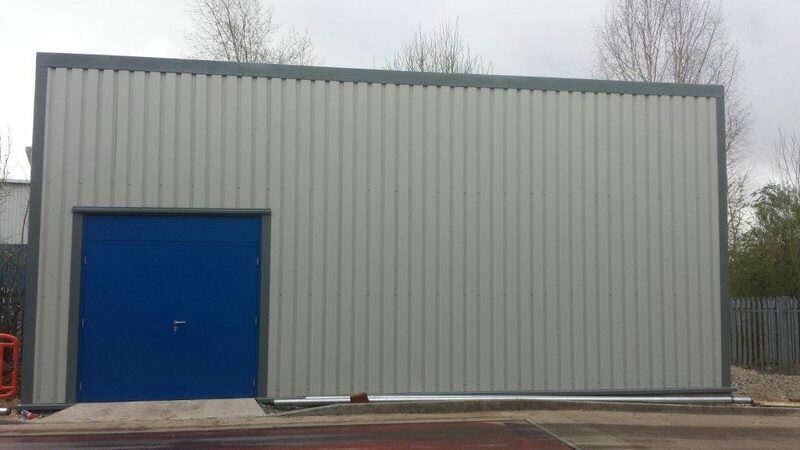 Supplied with Removable Solid Over Panel 2190 X 400 – Providing a 2400mm high clear opening when removed. Please pass my thanks on to your installers for the speed and quality of their work and working techniques. The client is very hot on health and safety and I never received a single complaint. They also passed comment on the quality of the building provided. 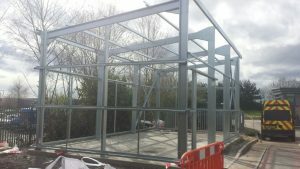 The building is excellent and we couldn’t fault the installers, they were great thank you. 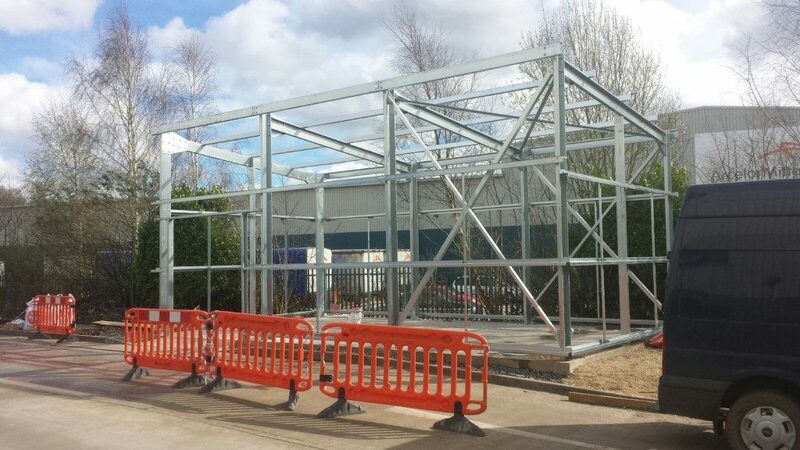 We have been very pleased overall and will not hesitate in using Omega for future steel buildings in Halesowen projects.